Dr. Fuad Sukkar is an accomplished professional offering over 30 years of experience with a myriad of national and international companies and organizations. A multi-disciplined individual with diverse expertise in construction, contracting and supervision, real estate development, program and project management, safety and change management consulting, strategy, business planning, management systems management and development, research and academia. He earned his PhD from Swinburne University of Technology (SUT), Melbourne, Australia, in the field of Geotechnical and Foundation Engineering. His PhD research resulted in a world-first scientific discovery and in an innovation for the treatment of a worldwide ground engineering problem. He also holds a Masters Degree in Construction Management with Honors, from the same university, and a Bachelors Degree in Civil Engineering from Coventry University, Coventry, UK. He is a Member of the Infrastructure Service Management Group of Swinburne University of Technology, Australia. At PIVOT Engineering & General Contracting Company, Abu Dhabi, UAE, Dr. Sukkar was a member of the company Senior Management Team. 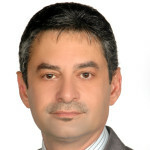 His position as “Strategy & Integrated Management Systems Manager” was initially to maintain and continue to develop new operational management systems and procedures, whilst ensuring compliance with the relevant government authorities’ and international standards requirements and assuring continuity of systems’ certifications. Dedicated to the PIVOT organization for over 5 years, one of his latest responsibilities included the review, follow up and recommendation for the revision of the company’s business strategy and operational plans and the development of the various company functions’ and construction projects’ performance objectives and key indicators. Another contribution was the establishment and maintenance of the Corporate Risk Management System which included the development and maintenance of the Corporate and Projects’ Risk Registers. Also, as a member of PIVOT leadership, his role included the development of the Corporate Business Model, Ethics Policy & Guidelines and the business operational procedures, review of the Board’s internal Executive Audit Committee reports and external system audit reports and providing feedback response to the CEO on audit findings and recommendations. He also reviewed, developed and amended, as necessary, the company committee charters and plans, as well as recommended the establishment of new committees and workgroups for the implementation of new initiatives and functions. Dr. Sukkar has exceptional management skills and is a natural leader, demonstrating extensive experience in various building and infrastructure civil projects. His strategic role as the Development Manager of the mega Marsa Zayed Project in Aqaba, Jordan ($10 bn) representing the Abu Dhabi Government foreign investment company, Al Maabar Real Estate Development, is a testimony of his caliber. His responsibilities extended way beyond those of a Program Director where his leadership character played a major role in forging relationships and agreements with high government officials, local and international partners and stakeholders. He is well versed in contracts, program and project planning, administration, management, procurement, evaluation, documentation, cost control, claims analysis and legal arbitration. Whilst working for E. I. DuPont De Nemours – DSR, MENA, as Project Manager and Senior Safety Management Consultant, he designed, managed and implemented numerous change management safety programs to a wide number of large O&G and manufacturing clients. He led a team of DuPont’s team of consultants and imparted practical safety training workshops, coaching and implementation assistance to safety and operations professionals using DuPont’s standard and patented safety offerings portfolio. During his 3 years of service, he was successful in developing new business by increasing sales to existing clients and winning new clients, thus creating growth in business revenue. As an academic, Dr. Sukkar worked as a Lecturer in the School of Civil Engineering and Building at both SUT in Melbourne, Australia, and at the Higher Colleges of Technology (HCT) in Abu Dhabi, UAE. He successfully developed, managed and instructed a number of courses related to the Building Surveying and Civil Engineering undergraduate programs. His teaching strength stemmed from his solid professional practical experience combined with his up-to-date knowledge in his fields of experience. Dr. Sukkar is an Australian citizen who currently resides in Abu Dhabi and is always looking for ways to expand his network, share his expertise with others in the field, and most importantly – to continue to work hard and learn new things. He is energetic, self-driven, creative and innovative individual who is passionate for delivering excellence in all aspects of work. He is adaptable to all conditions and a proven team builder with proficiency to work under pressure. Bristol Who’s Who Member, Fuad Sukkar, can be found on the Who’s Who Directory where he is looking forward to networking with you.